What should be considered when transferring a mortgage? Many mortgage borrowers consider the overall terms of a mortgage to depend only on the interest rate. 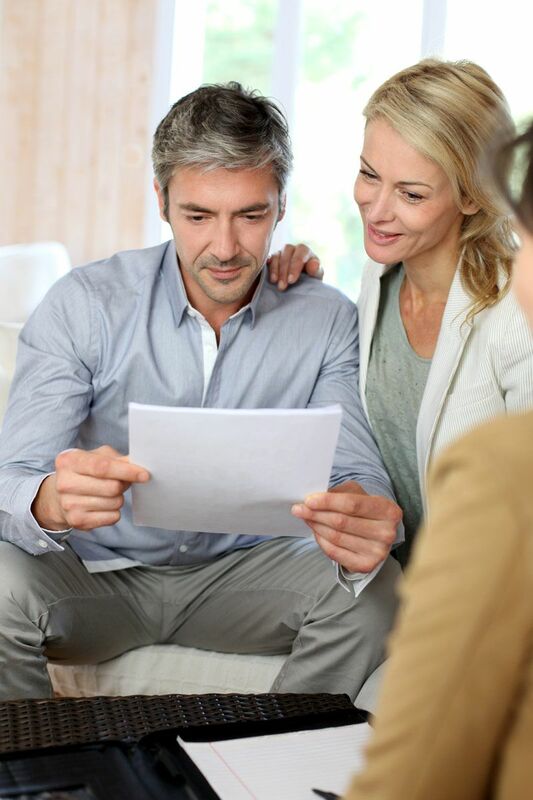 However, there are numerous other aspects to consider when transferring a mortgage, but many bank customers relegate these as secondary to interest consideration. Under certain circumstances however, this may lead to serious disadvantages for the borrowers. One of those aspects the securitization of mortgages. The reasons for selling a home can vary. They can range from a change in circumstance such as illness, career changes or financial stress. No matter what the reason for relocation, the financial implications need to be seriously considered, although it needn't be complicated. If you sell your existing home at the same time as purchasing a new one, it's relatively straightforward to transfer your existing mortgage to your new property. If your mortgage provider agrees to this and your mortgage is successfully transferred to the buyer, both parties can reap the rewards, although this all depends on the interest rate of the existing mortgage. The seller does not have to pay any premiums for such a transfer and the buyer may receive much more favourable terms than taking out a new mortgage from scratch. Depending on the interest rates of the mortgage to be transferred, buyers can either receive a more attractive deal than normal, or be covered by compensation. Because market rates might be lower than the mortgage itself, you will often have to compensate a buyer for any additional costs incurred. The seller will benefit anyway, as they don't have to terminate the mortgage and fork out for any additional penalties. If the market rate is higher than the mortgage, the buyer is advised to assume the mortgage regardless as this will yield a lucrative profit for them. As retirement age looms near, many mortgage holders are forced to consider whether it makes sense for them to transfer their property to their children. Incomes inevitably nosedive when people hit retirement age, meaning that financing their own home and clearing an existing mortgage becomes untenable. Other times, older people may need to fund private care and residential nursing, requiring a large injection of financial support. Alternatively, people may simply wish to take stock of their financial assets while they still have the time. If home-owners wish to remain as residents in their home until the end of their lives, they maintain a right to do so. In such a case, home-owners are freed up from all financial obligations with the exception of taxes and rental value. Payments of interest on mortgage and other obligations are then assumed by their children. On the other, there's not complete free reign in these instances. Parents who offload mortgages to children may choose to hold onto rental payments, although there's still a need to pay for taxes, ancillary costs, mortgage interest and insurance costs. Regardless, children are obligated to handle the regular mortgage payments and will be assessed on their financial suitably. If parents are no longer to pay mortgage interest rates, this obligation will then fall to their children. One big drawback of the above is that there's a real risk involved. Usufructs are entered into the land registry and property values tend to depreciate. A property income that is granted to the beneficiary isn't considered a particularly attractive option. Regardless of the exact type of mortgage transfer strategy that is decided upon, the most important thing to remember is that all parties involved need to be on the same page. While sales are usually regulated smoothly and quickly, the process can become convoluted when the process involves various family members. Things like building permits and mortgage variations all need to be okayed by the beneficiaries, so a mortgage strategy needs to be ironed out and understood by all at the outset of the process. For independent and thorough advice on mortgage strategy, get in touch with MoneyPark today. Our expert team of mortgage consultants are on hand to handle any and every query you might have, helping you and your family make the right decision when it comes to transferring a mortgage. We'll talk you through all the available options, the best strategy for you and your circumstance, and which financial packages make the best sense for you.